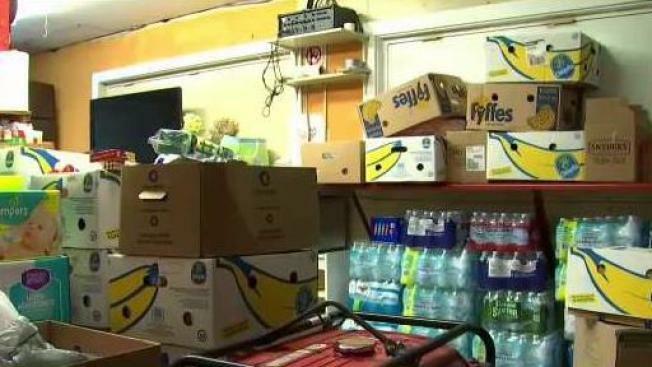 A woman in New Hampshire is trying to do her part to help the people of Puerto Rico, but a problem with the shipping company is putting her plans on hold. Yaritza Rodriguez has a central station of donations for Puerto Rico that a Massachusetts shipping company offered to ship for free, but when she called to confirm, the company told her the containers were already full. A woman in New Hampshire is trying to do her part to help the people of Puerto Rico, but a problem with a shipping company is putting her plans on hold. A mix up with the shipping company is causing Yaritza Rodriguez a lot of stress because she knows the pain first hand. Her mom, who is from New Hampshire, was down in Puerto Rico visiting family when the two hurricanes hit. Rodriguez did what she could to gather supplies. Now, she doesn't know what to do. For her, this is personal. She has a collection of donations for those ravaged by two hurricanes in Puerto Rico. "My mom is in Puerto Rico, I'm from Puerto Rico," Rodriguez said. So the Manchester resident got to work. Comforted by the fact that her family was safe, but knowing the damage to her native island was severe, she converted a little league concession stand in Manchester into a Puerto Rican donation center. Rodriguez thought she had it all figured out when a Massachusetts shipping company offered to ship the donations to Puerto Rico for free. When she called to confirm, the company, Monte De Rosa, told her the containers were already full and she would have to pay to ship her donations. "It is frustrating, I literally cried Monday," she said. The donations keep coming in as Rodriguez has tried to figure out how to bring all of this to people in need. "I have faith that it is going to get down there so that's my biggest thing, is faith," she said. Earlier Wednesday, the governor announced a donation drive for the state. The issue is that a lot of what Rodriguez collected, like diapers, is not on that list.